A number of academic packages are available for Dymola to meet the needs of researchers, teachers and students. Because Dymola provides an open modelling environment based on the Modelica modelling language it is a great tool for teaching and research. The full academic versions of Dymola are identical in function to the commercial products. 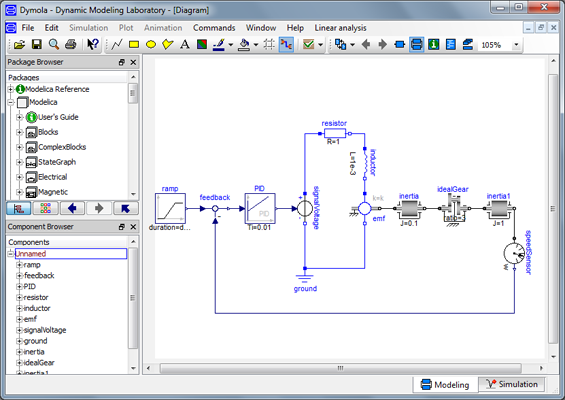 This enables researchers and students to work with Dymola and become familiar with the Modelica modelling language and the wide range of application libraries available. Dymola is being applied in research across a wide number of domains including Automotive, Power generation and distribution, Aerospace, Robotics, fluid systems and much more. 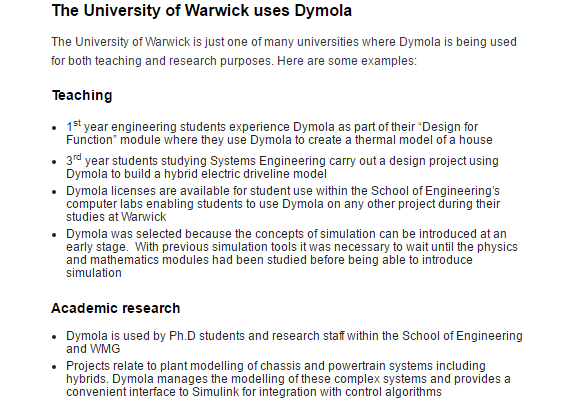 To enable universities to quickly ramp up to teaching using Dymola and Modelica there is a library of teaching material available from the Modelica Association. The open and extendible nature of Dymola and Modelica makes it a research and teaching friendly tool. 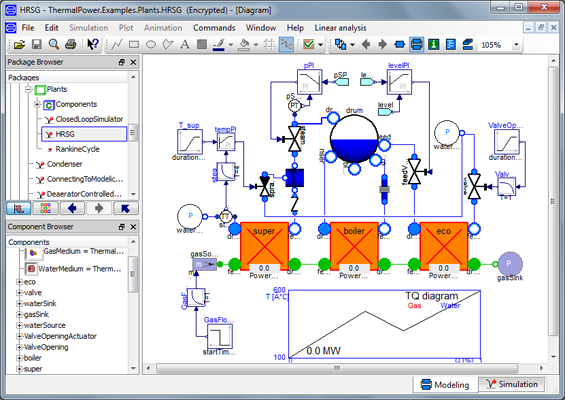 The graphical modelling environment makes it easy for students to get started with simulation and the open access to the underlying Modelica language gives the students visibility of the model equations to understand how the math courses relate to simulation. 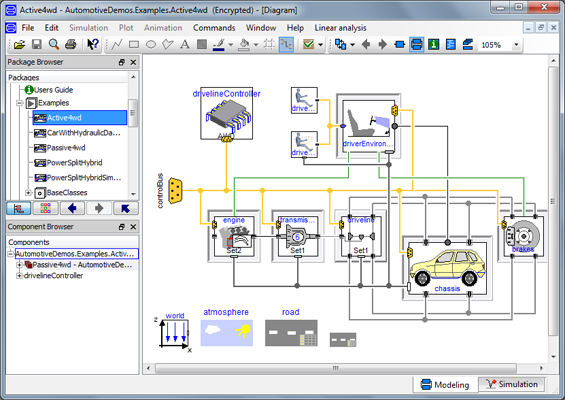 For research, the open and extendible nature of the Modelica libraries in Dymola makes it easy to build models of new ideas and technologies and assess them within a proven simulation tool. 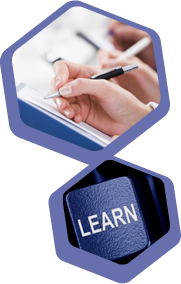 Dymola is available in two academic configurations called Academic Learn and Academic Innovate. These are full featured packages and include the same features and capabilities as the equivalent commercial version.The bundles are available as individual research licenses or in large numbers for classroom teaching usage. Dymola and the motorsport solutions from Claytex are used in Formula 1, Indycar and NASCAR to model all aspects of a race car. The same solutions are available for use in academic research and for teaching. In addition our solutions are also used by Formula Student teams. 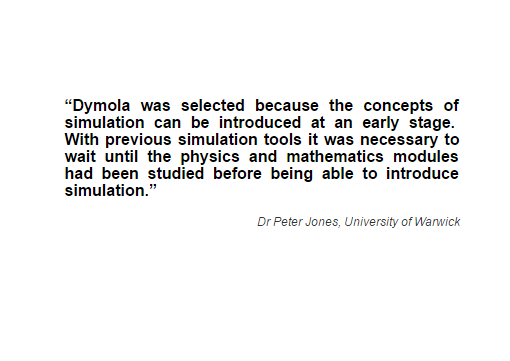 For universities interested in using Dymola for Motorsport research and teaching, Claytex offers academic versions of the VeSyMA – Motorsports Library. The Dymola classroom licenses are available in either Academic Learn or Academic Innovate configurations. These packages consist of 1 license for the teacher/lecturer and a group of 25 licenses that can be deployed across a classroom network. These are fully featured licenses, identical in capability to the normal academic licenses. Student licenses of Dymola are available through your academic institution. These are available as Academic Learn or Academic Innovate packages and offer time limited access to Dymola and the libraries. The student licenses do have some limitations in functionality and do not give access to the full capabilities of Dymola. They are suitable for undergraduate and masters degree type projects.